So, it’s the 4th of July, and I’m just chilling at home. I have the day off, hubs is working. I don’t have any parties or gatherings to go to, and honestly, I am A.O.K. with that. It’s been relaxing, and I’m loving every bit of it. Even though nobody is around, that doesn’t mean that I’m not going to engage in some good ol’ American food for the holiday! I present to you a slightly different take on the standard baked beans!! 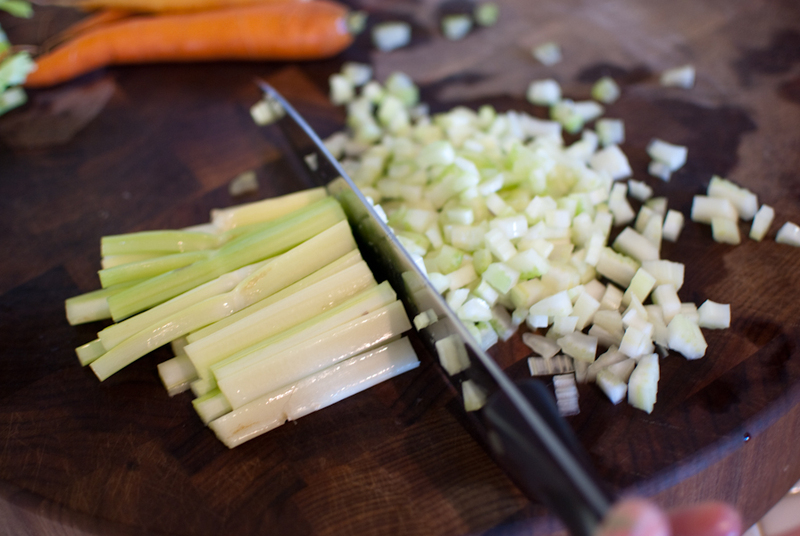 It starts out with onion, celery, and carrots sauteed in a bit of bacon fat. If you don’t have bacon fat lying around, that’s fine, you can use olive oil. If I were you, whenever you DO feel the need to cook bacon, find an empty, and preferably clean jar, and reserve that precious fat! Waste not, want not, right? 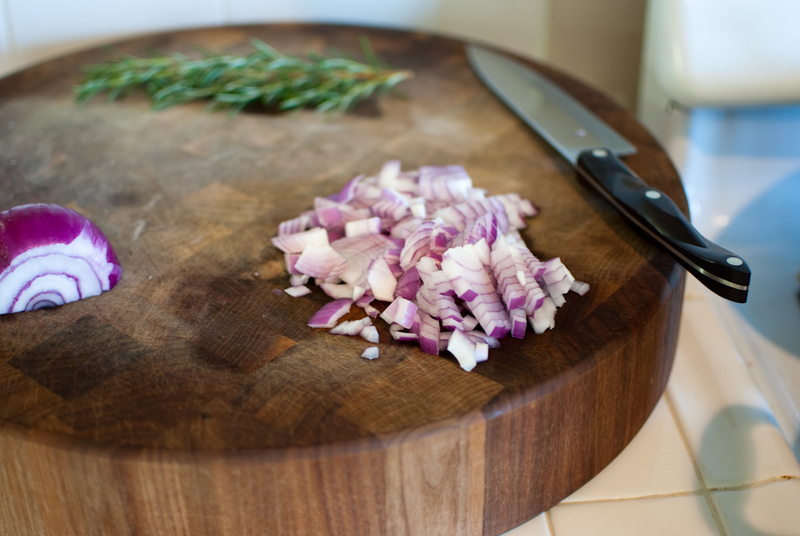 If you happen to run out of olive oil, it will save you a trip to the store! Then, once your veggies are translucent, add in the balsamic vinegar to deglaze the pan a bit, then add in the tomato paste, mustard, rosemary, cocoa powder, salt, paprika, and pepper. Mix well, and let it cook for about two minutes. Then, when you’re ready, add the beans and veggie mixture to a crock pot. 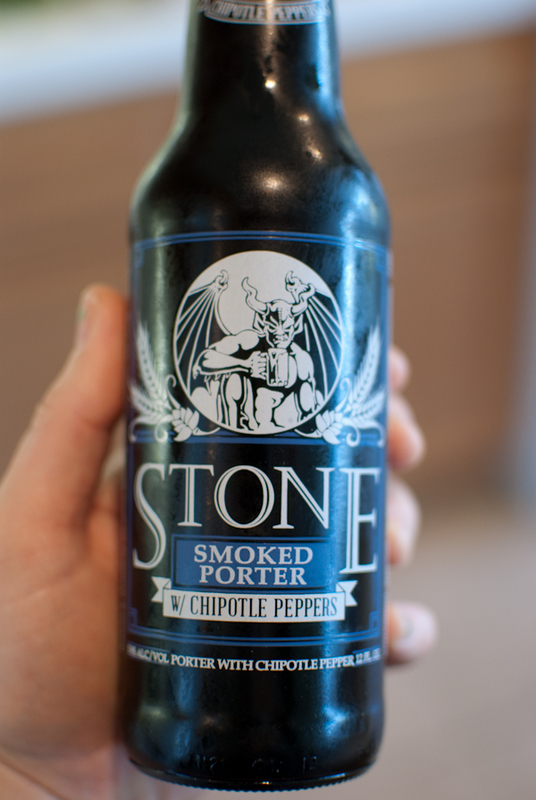 Then add in the water and smoked porter with chipotle peppers! You can really use any porter, or dark beer for that matter. I personally couldn’t detect the chipotle flavor in this beer. I used it anyway. Actually, now that I’m thinking of it, I probably should have also added a couple teaspoons of chipotle peppers to these beans! D’oh! You can, and let me know how it turns out! 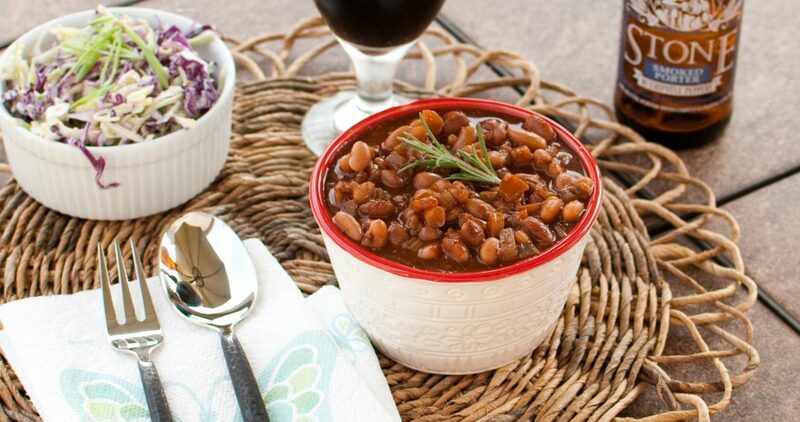 Serve your baked beans with your favorite all-American sides. I love Emeril’s Blue Cheese Slaw, so that’s what I served with my beans. 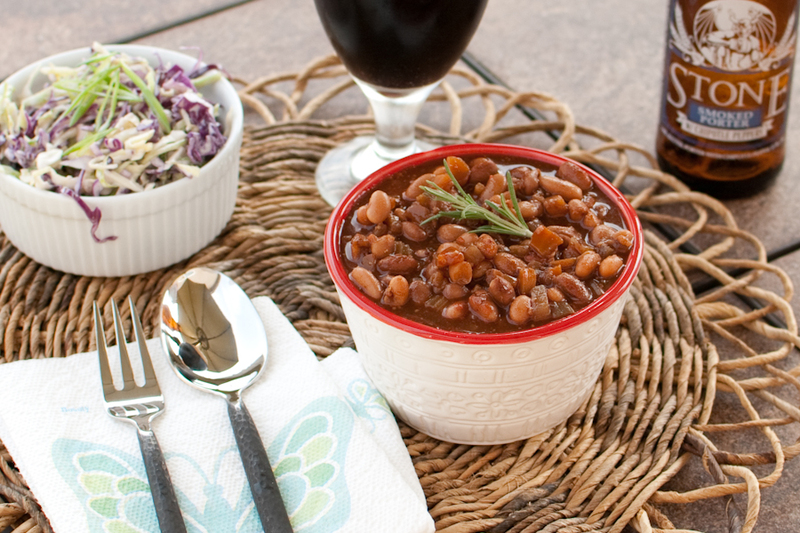 Serving the beer you made the beans with is also a nice touch. It seems to help with detecting the flavors of the beer in the beans. Yum! So good! What’s your favorite side to serve with your Fourth of July Meal? 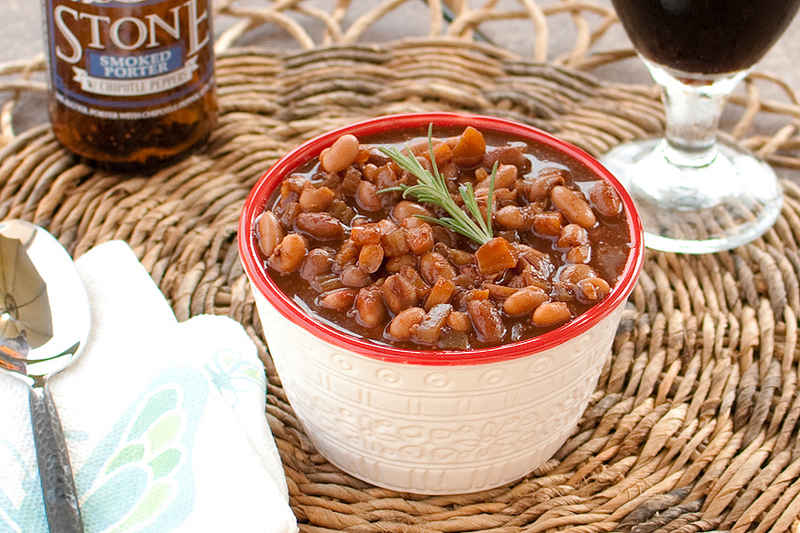 Baked Beans made with beer. Need I say more?! Start a pot over medium high heat, adding in the olive oil. 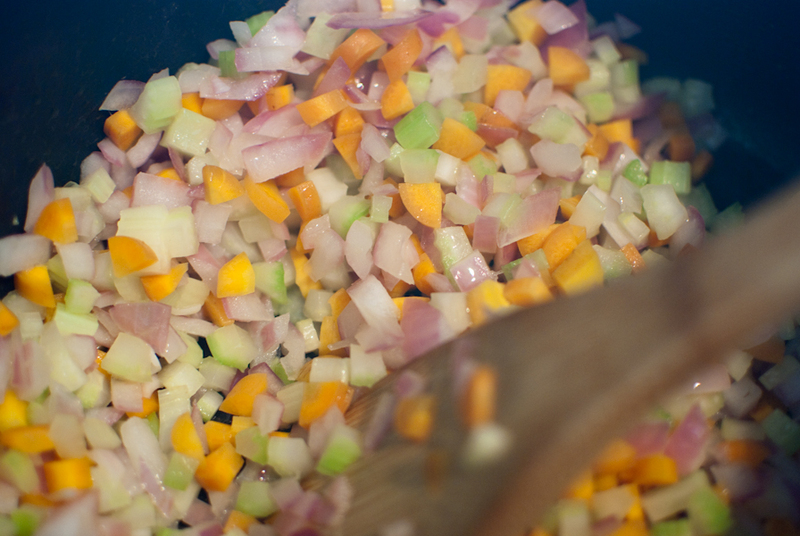 Add in the onion, celery, and carrots, and cook until translucent, about 10 minutes. Add in the balsamic vinegar to de-glaze the pan for a minute, then add in the tomato paste, dijon mustard, rosemary, cocoa powder, salt, paprika, and pepper. Mix well, and continue to sauté for another two minutes. 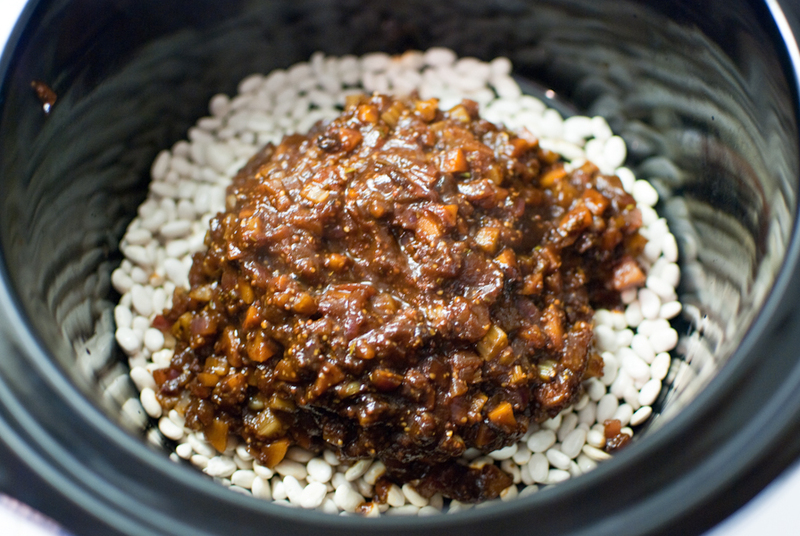 Set a crock pot on high, and add in the beans, vegetable mixture, rosemary, beer, and water. Cook the beans for 4 hours, stirring occasionally, until tender. If you don’t have a crock pot, you can simmer the beans in a stock pot, on low heat, until tender. That fork has only 3 spikes on it…does that make it a threek? Looks delish! Ha, I love it! Threek! HAHA Thanks, Bro! OMG That look scrumptious! This is one I will be printing out and making some time in the near future, especially since our weather has taken a turn for the better! This is a perfect summer dish for the perfect summer weather we’re finally getting!!! Haha thank you, lady!!! Let me know how ya like ’em!! I am originally from the Midwest and NO summer festivity is complete without baked beans. I now deem you the Baked Bean Goddess! We didn’t have beans that festive in Iowa. You Rock! Wow, baked bean goddess!!! Cathy, I’m honored!! 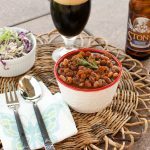 I was JUST thinking about attempting a beer baked beans and you beat me to it! This looks great and I love that Stone. And the vanilla one is amazing as well. Hey, great composition Natalie. That woven placemat is a great contrast piece. Brian, thanks!!! I saw that Bootleggers Ruthless Rye at BevMo last week… Angel and I thoroughly enjoyed that BTW!! I love beer that tastes like you’re having a meal. It reminds me of that one scene in Willy Wonka where they eat those marble looking things, and it tastes like you’re eating blueberry pie! 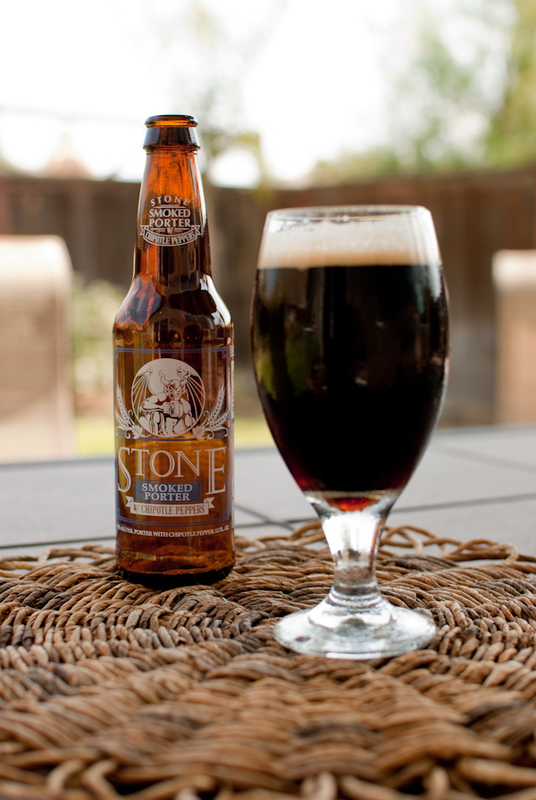 That’s how Stone Vertical Epic 11.11.11 tastes to me… I think that’s why I love it so much! Those beans look mighty tasty! 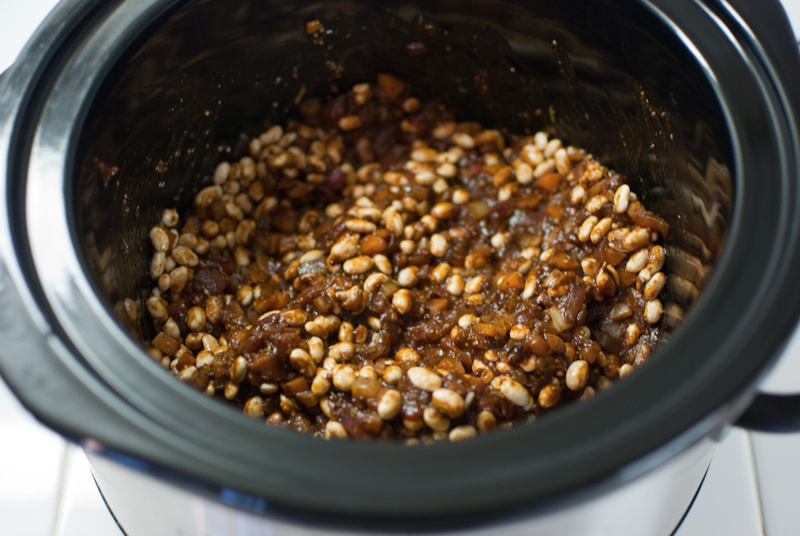 I have been dying to make my own baked beans, and looking for a good recipe, this one looks reaaaaaal good! Just Saw this on your FB page. Love it. and just in time for the holiday bbq. Awesome, Judy!! Thanks for checking it out! So those 5 cups of water you call for should be added to the crock pot. A novice cook could really mess this up. Thanks for the comment Jan, I appreciate it! I’ve made the correction.